Saying I was probably dehydrated my whole life would be a total under statement. Prior to last year when I decided to get my body together, I was lucky to get 8 ounces of water into my body a DAY. Sad isn’t it? I didn’t really drink soda. I didn’t drink bottled juices. And although I have always liked tea, I didn’t drink much of it at the time. My liquid consumption included 1 cup of coffee in the morning and then sips of water here and there throughout the day. I just never really found myself thirsty so I never bothered to drink anything. I used to playfully joke all of the time that once I got older and died I knew it would be due to kidney failure and all my organs drying up. One of the first things you will hear ANY fitness person/athlete say is “Make sure to drink at last a gallon of water a day!” We have ALL heard it right? How much your body needs it? How good it is for you? How many benefits it has? Well, it wasn’t until I got serious about my health that I really made a HUGE conscious effort to up my daily water intake. The thought of forcing that much water in me, having to run to the bathroom every 15 minutes, being SO bored with plain old water… none of those feelings made it any easier to get started. I continued to struggle getting in that 1/2 a gallon a day. Drinking my water every single day felt like SUCH a chore. However, everything changed after about 2-3 months of struggling… I stumbled upon what soon became one of my all time favorite products. By the power of Instagram, one day I was jumping around from account to account and saw someone post about their Vanilla Cream drops and adding it to their Starbuck’s iced Green Tea. Obviously, I was sold at Starbucks (duh) but I figured what the hell. Let me find these drops and give it a whirl. That was the first flavor I bought and I was immediately sold!!!! 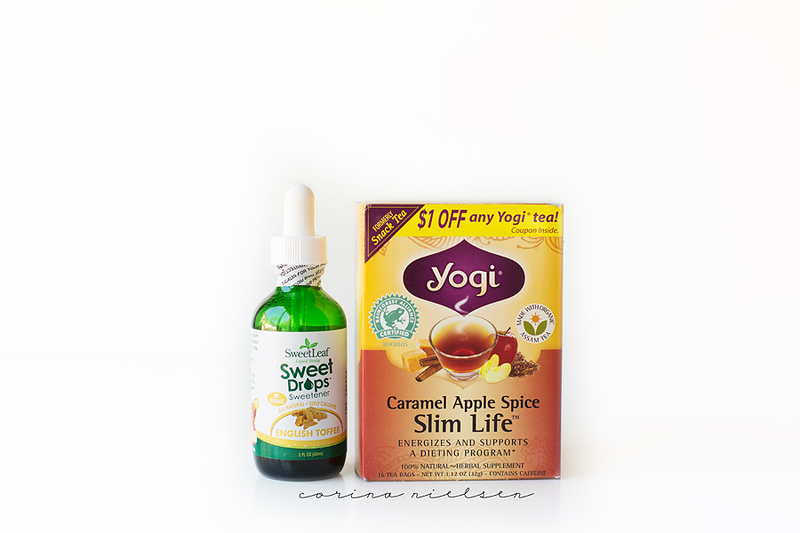 I began using the Vanilla Cream drops in green tea daily. This product alone definitely helped me get in more liquid every day but I know I still wasn’t getting quite what I needed to. The next time I went to Sprouts to refill my vanilla bottle, I thought I would go ahead and grab another flavor to try out. This was my H20 game changer…. The coconut drops easily took me from about 1/3 a gallon of water a day to a full gallon a day within 2-3 days of using it. I actually started a new routine in the morning when I was dropping off the kids at school. Since the AM school drop off’s takes me an hour (having to go to 2 different schools on the opposite ends of town), I figured I might as well get in as much water as I can before I get back home to eat breakfast. 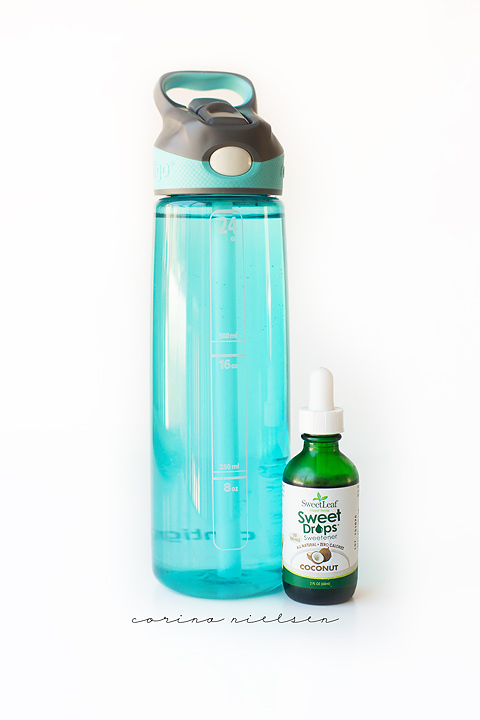 Just before leaving the house, I fill one of my 24 ounce water bottles up with water and put 13-15 drops of Sweet Leaf Coconut in. I’m usually done with the bottle by the time I get back home… that’s 1/3 of my minimum daily intake in my body within an hour and a half of waking up! Not too shabby huh? Then I drink my coffee with breakfast, have another 24 ounces of water with the coconut drops for early afternoon, hit the gym, usually plain ice water with dinner, and at least 2 BIG cups of tea at night. I became a HUGE tea drinker once Sweet Leaf came in to my life. 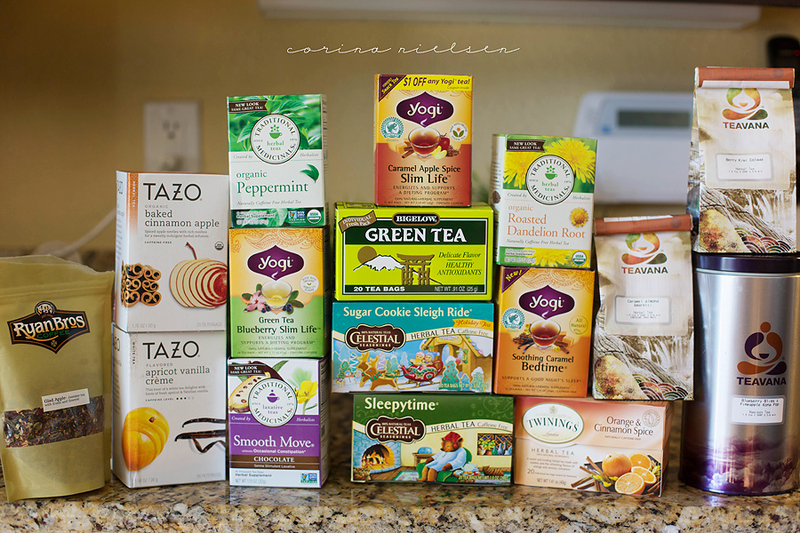 I guess it’s safe to say I have a little bit of an addiction… here is a sampling of my tea cabinet. 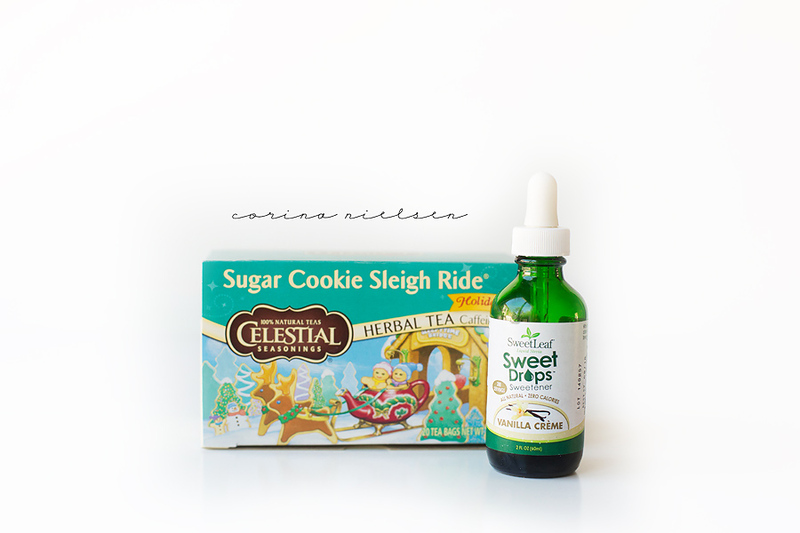 ALL of my herbal and flavored teas are sweetened with my Sweet Leaf drop collection. 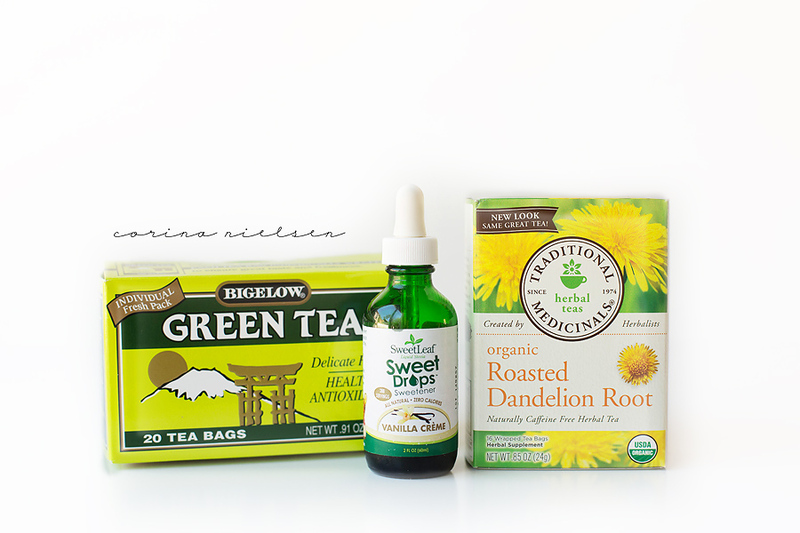 Green Tea and Dandelion Root have been daily staples for me ever since that first bottle of Vanilla Cream. At first, I hated the dandelion root flavor. I was going to throw the box out after my first sip. But after a couple of tries, it totally grew on me. I love it now. Anytime I’m feeling a little bloated or “puffy” from something, I have a couple of cups of Dandelion Root and within a couple of hours, I feel much better! The morning after is even better. 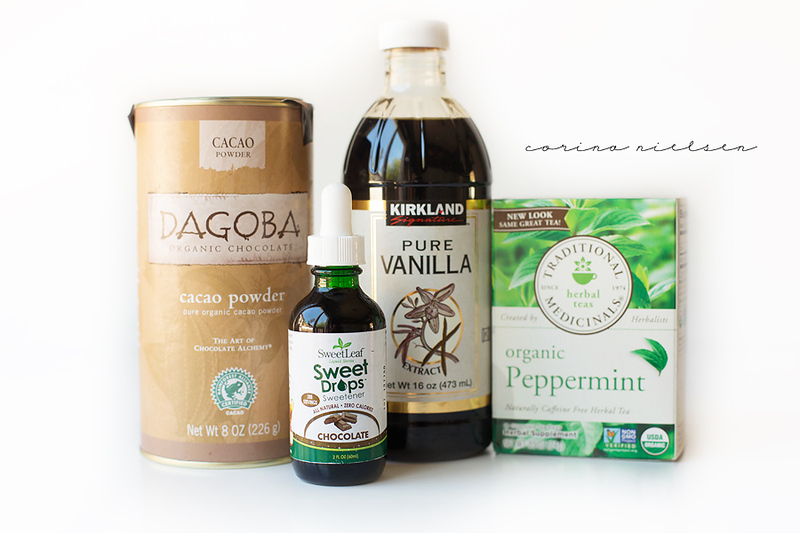 Peppermint tea mixed with a big teaspoon of cacao powder, splash of vanilla extract, and Chocolate Sweet Leaf…. mmm. Kinda like an herbal hot chocolate! 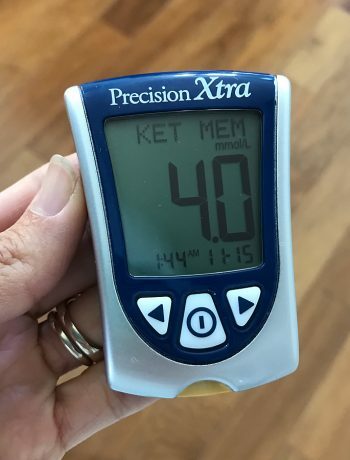 This one is recent for me, but oh my goodness… I’ve had 2-3 cups of this every day for the past 4 days. I think my box is even empty now 🙁 The flavors in this tea are SO delicious. A little sweet, a little spicy. Each sip is like a little whisper of apple pie (I know that sounds totally lame but I really can’t describe it any other way lol). It’s just so warm and comforting. Going to love this one for a long time! 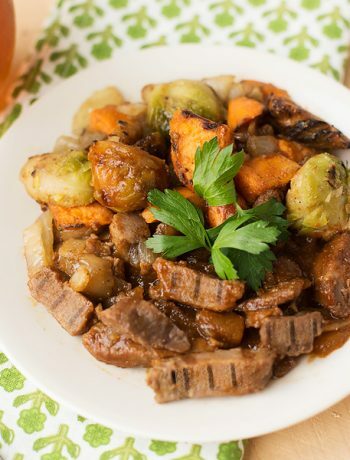 It pairs great with English Toffee Sweet Leaf! Another favorite. I actually picked this one up the same day as Caramel Apple Spice and am SO happy I did. I would say they are equally good but just different. 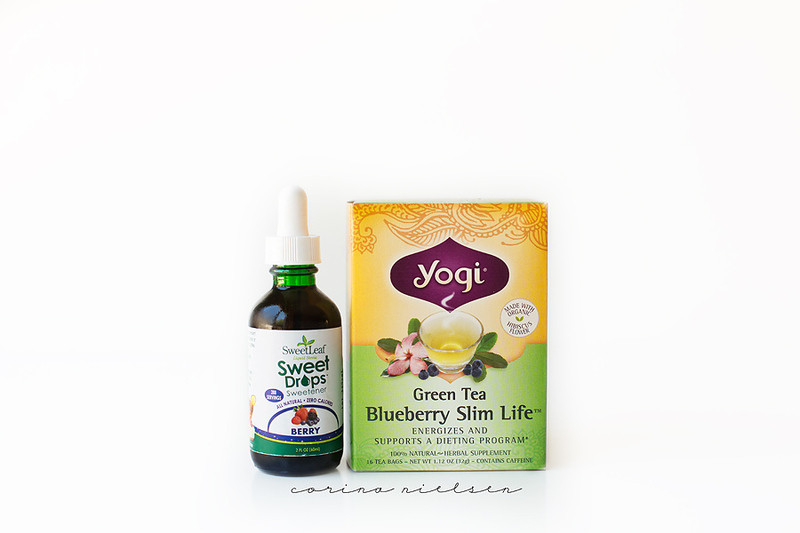 This blueberry Green Tea is more refreshing (I bet it would be great as an iced tea), just “lighter” and fruity. And FYI, I could care less about the “slim life” part on these teas and what it says it does. You will never see me promote cleanses, detoxes, or any other programs or products that make such ridiculous claims. And this…. THIS Sugar Cookie Sleigh Ride tea. Thank you Target for stocking this during the holidays! It’s a special edition flavor so when it hit the shelves last season, I stocked up and bought more boxes than I care to tell you about. I haven’t had a cup of this in a little while but just thinking about it now makes me warm and fuzzy. It immediately brings back memories of my Christmas tree, the kids decorating their Gingerbread houses, our big roaring fire, carols… ah, good times… good tea. Grab this later this year at Target and pair it with some Vanilla Cream! 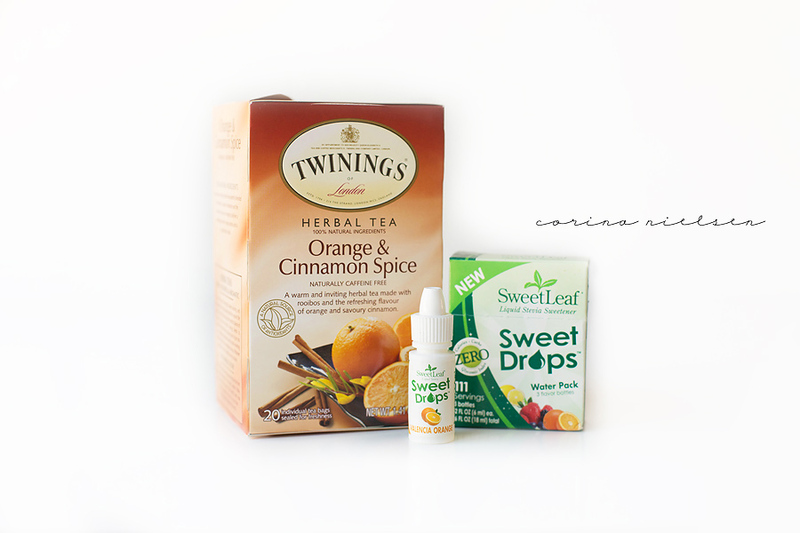 And this one I wanted to share just to show the little trial packs of Sweet Leaf you can get (although this tea pairs beautifully with the Orange Sweet Leaf)!. They have the “Party Pack” (cinnamon, coconut, and peppermint flavors), the “Soda Pack” (grape, cola, and root beer flavors), and then this “Water Pack” (orange, berry, and lemon flavors). These are a great way to test out a few flavors without committing to one of the large bottles! One thing I like to do with these sample packs is keep them in my purse. They are great to use in your water or iced tea when you are eating out. Since I don’t drink soda or alcohol, having the different little bottles of flavors helps change things up for me. Honestly… I use my drops EVERY single day, at least 3-4 times a day. It’s always used in my water and teas to keep me hydrated but it’s also used in EVERY baked good I make (as you can see from my recipes). Super versatile and makes getting that H20 in SO SO easy!!!! 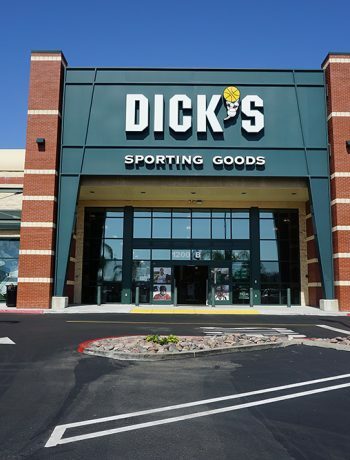 Give them a try…. you won’t be disappointed! I have always bought mine at Sprout’s, but you can use their store locator to find something local to you OR buy online at iHerb (they have a GREAT price on them)!!!! I LOVE all these combination ideas. 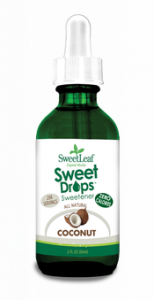 I’ve never tried the Sweet Leaf drops but have seen lots of people using them and the mini pack is definitely where I’m going to start. Pinned for later! Thank you for the drink ideas! I’m going to expand my sweet leaf collection from 2 to all!! Thanks for the drink ideas that I can take to work!!!! These sounds so yummy! I’m not having any trouble drinking loads of water, but those coconut drops do sound delish! Can’t find any here in the Netherlands but I’ll keep my eye out for them! I just got the English toffee and it tastes bitter. Is that to be expected? I figured it would have some sweetness to it. Help! Hi Beth! What are you adding it to? That flavor is actually one of my favorites… all of the drops should be sweet! Was the seal broken on the bottle? I’d definitely return/exchange it! Thanks for the info Corina! The seal was intact, I added it to apple spice tea, and straight out of the bottle it was bitter. I’ll be returning it as it was pretty expensive too. Very strange… I haven’t ever had an issue with my drops! Maybe you should try it in something else… perhaps the tea was brewed too long and that was bitter? Not sure! I actually stopped using the regular chocolate and only do double chocolate now!!! I don’t use the watermelon one much but thats mainly because I haven’t thought of anything to use it for YET lol! Orange is lovely! I use that a lot in my water and teas!!! Can I ask your thoughts on something like Crystal Light? Or La Croix? Curious if drinking either of those for added flavor could help with the sweet tooth instead of eating. I definitely drink Crystal Light every now and then! I prefer drinking BCAA’s though! I could have written the 1st part of this article myslef. I have coffee in the morning and maybe 8oz of water for the rest of the day. I just found your blog 2 days ago and went to Sprouts that night to pick up the Vanilla Crème. I think your article may be a life changer for me. Thank you.